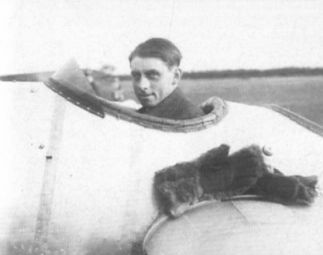 Lankester Parker, with passenger, attempts to take off from Lympne in September 1924. With two up the aircraft would barely leave the ground when powered by the direct drive Cherub I.
Lankester Parker flying the Satellite solo at Lympne in September 1924. 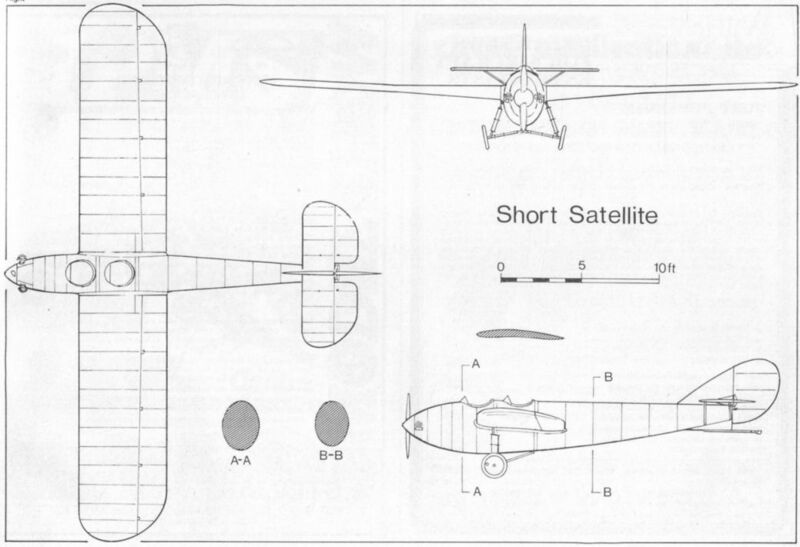 The Satellite was acquired by the Seven Aero Club in 1926, re-engined with a 40 h.p. ABC Scorpion II engine and fitted with a Fairey-Reed metal propeller. The Satellite’s fuselage during construction with Cherub I installed. Short’s test pilot John Lankester Parker seated in the Satellite at Lympne in September 1924. Note the fur mittens lying on the wing.